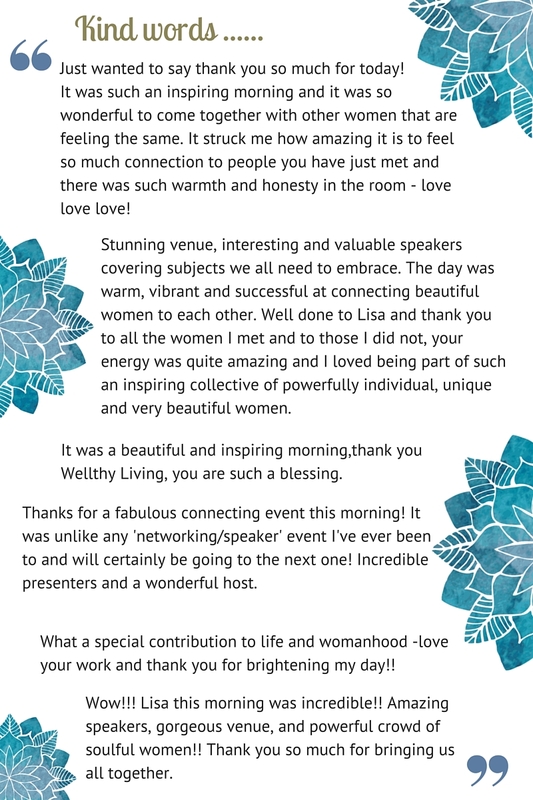 Wellthy Living runs authentic connection and collective wisdom workshops. They are a place to connect with like minded people and experience a balance of joy, depth and sacred connection. A place to be seen and heard. A place to show up in all your awesome uniqueness and know that no matter where you are in your biz journey you are a gift of inspiration for someone else. The Wellthy Living Collective wisdom series is an inviting, inclusive, heart centred event. You will learn from others, connect, share ideas, experiences and challenges, build relationships, create opportunities for collaborative work and develop your network.